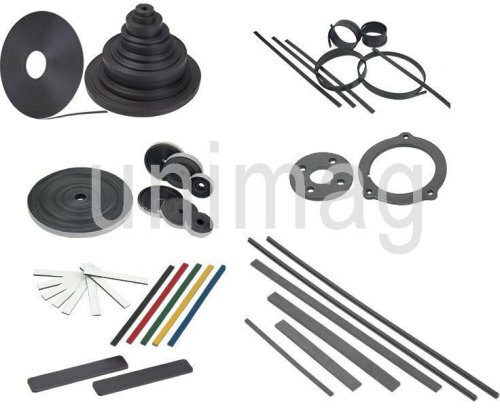 Anisotropic rubber magnet and motor magnetic strip is mainly used in the occasions with strong suction. The motor magnetic strip is mainly used for the small-size precision motors etc. in the equipments such as camera,cinematograph,recorder,VCD,walkman,computer fan and so on. Anisotropic magnetic ring is used in the automobile electric apparatus.